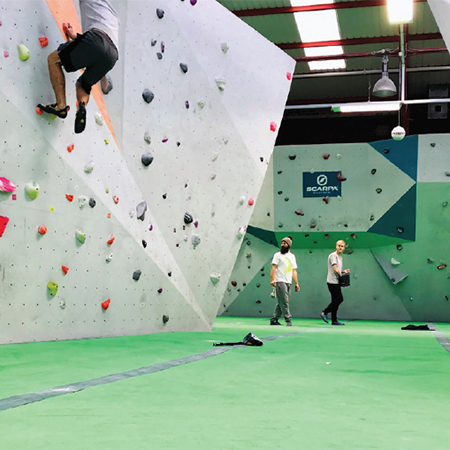 For many years now, UK manufacturer Rawson Carpet Solutions, have provided flooring materials to sports facilities, meeting the stringent demands of the sector. 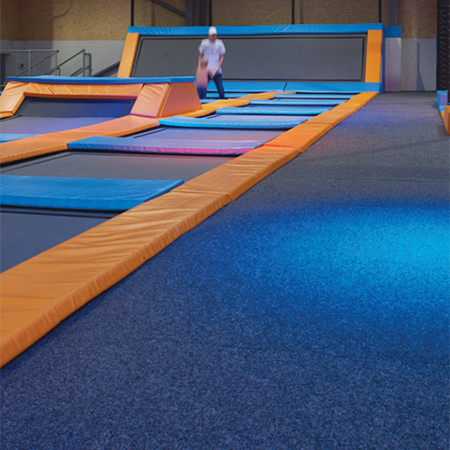 For indoors, Patio and Felkirk as flooring solutions for play areas such as trampoline parks and climbing centres have been popular. These solutions are bright, economic, durable, cleanable and quiet. Now with new colourways, Rawson also have solutions which provide the outdoor aesthetic indoors. Using Felkirk in Turf, Fairway Green or Olive, can provide a carpet solution reminiscent of a beautifully tailored lawn. Solutions for outdoor facilities are met by Rawson with 2 distinct products. 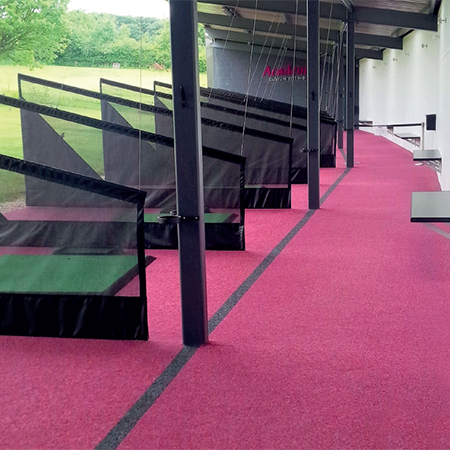 One of which is UV resistant Patio, ideal for: parkour parks, adventure parks, putting greens or cricket nets. The product is durable and comes in 10 sport inspired colourways to meet a project’s desired aesthetic. Rawson can provide bespoke colours to meet customer’s needs, and can provide choice inlay work too. Second, is Rawson’s specially designed Spikemaster, which was specifically designed for use where spiked shoes are being worn. Ideal for golf clubs, football pitches and cricket nets. Spikemaster is tried and tested to provide a durable and safe surface for these types of environments. Rawson now offers all coverings individually environmentally accredited through the BRE, BREEM assessment. Rawson also offers tried and tested entrance matting for busy facilities. Including their second barrier system range Titan. You can rely on Rawson Carpet Solutions to provide specially designed or even bespoke coverings to meet the demands of sports and play facilities.